Projects Abroad offers the opportunity to do one and two week volunteer trips in many of the destinations where we operate. For volunteers who don’t have the time to commit to four weeks or more of volunteering abroad, but would still like to contribute to the community or their project of choice, then short-term one-week or two-week volunteer placements are a great option. These trips are not available in all situations; we have hand-picked only the countries and projects where it is suitable for both the host community and the volunteer to be there for such a short time. To see where these trips are available, check our prices page - if there is a price listed, then it is possible to go for one or two weeks. Although you will not be able to make quite the impact that our longer-term volunteers make, you will be working intensely within the local community and building relationships. This will impart a level of cultural insight that is not possible for tourists to achieve. These trips operate in the same way that our normal four-week or longer projects do, with some small adjustments to help you make the most of your short time abroad. For instance, we ask that you arrive on the weekend so that we can give you a formal induction to the area and culture before your first day of work on Monday. 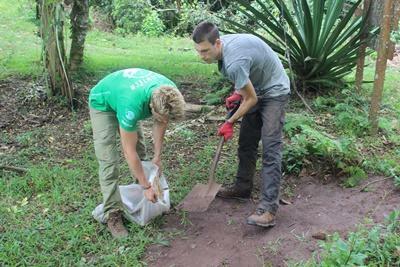 Volunteers on one and two week trips are given the same benefits as those who join us for longer periods of time. As always, our start dates are flexible – just pick any weekend to arrive – and you’ll begin your project quickly after your arrival to maximize the amount of work you can do in country. Our in-country staff will be available to assist you throughout your time abroad. You will be a part of our extensive volunteer network and meet people from all around the world. In some circumstances, you may be living with a local host family, which will provide you with the opportunity to get completely immersed in the local culture during your stay. On other projects, you may live with volunteers in a community-housing situation. For high school students (ages 16-19), we recommend our 2-Week High School Specials programs. These are group projects that have a high level of structure and central planning by our local staff. You will be in a group of students your own age for the entire project. Our local staff are always close at-hand. It’s a great way to travel and volunteer abroad for younger people who have never done this before. Staff members are with these groups. For ages 20+, we recommend joining our projects for four weeks or longer. (Most volunteers go for about eight weeks.) But if you can only squeeze in a week or two, we will make sure that your time with us on a short-term trip is worthwhile and productive. You’ll be given all the independence of our longer projects in a shorter period that’s convenient for you.